Who wouldn't want to fly with the special Super Leaf. 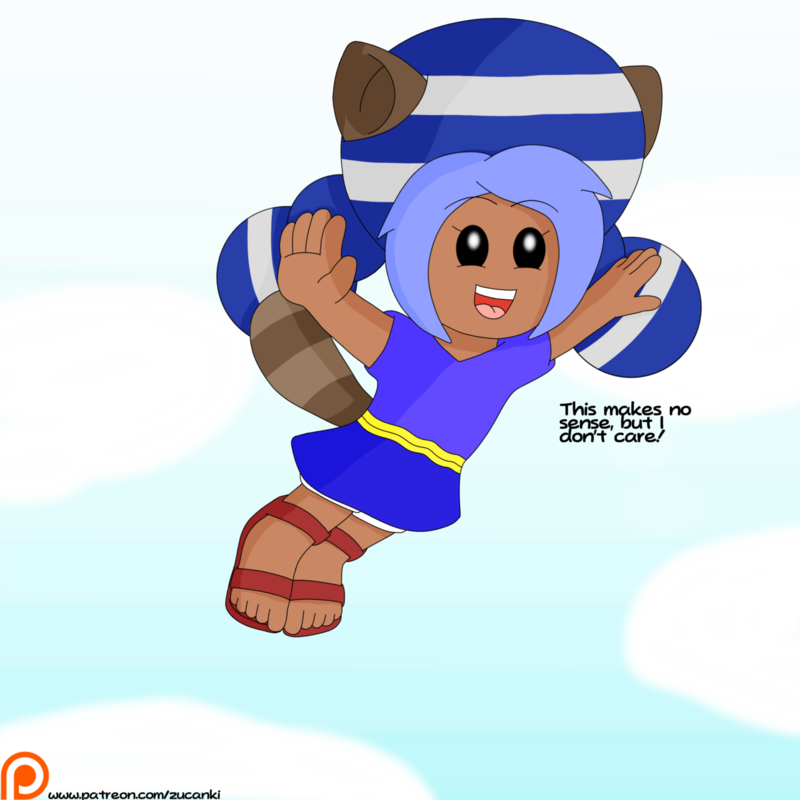 Yeah, a flying raccoon make no sense, but.....who cares?! She's flying!